Stanton Marine Ltd was formed on the 18th March 1985 by an experienced group of ex-Super Tanker Captains, headed by Captain Bill MacDonald who is now the Chairman of the group The British East India Company Limited. The present Managing Director of Stanton Marine Limited is Angus Rush who like Captain Bill MacDonald, is a fellow Scot and who joined up with Bill MacDonald in early 1986. Angus Rush is from a seafaring background and is considered one of Europe’s most experienced Oil Loss Control Superintendents. Over the last twenty years, Angus Rush has himself superintended the full loading and/ or discharging of over one thousand Super Tankers at oil terminals all over the world. His supervision on board vessels and at loading and discharging terminals has resulted in the total eradication of large oil losses and the reduction of all losses to a level that was unimaginable some years ago. Angus Rush has enhanced the outturns of oil cargoes for many of the world’s largest oil companies and as such has saved many tens of millions of dollars for our precious clients. Stanton Marine is a highly respected Marine Company which specialises in all aspects of marine Transportation. 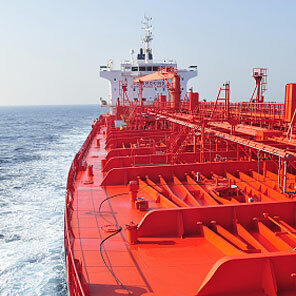 A full and comprehensive understanding of the shipping industry, its problems, aims and objectives are readily available from the Stanton Marine Management all of whom are highly experienced seafarers with an up to date and in depth knowledge of shipboard operations allied with a sound appreciation of the traditional standards of good services utmost reliability and integrity.